Thanks to everyone who was able to make it out this month. We loved hearing Violet Craft talk about her work! Fr. Dave Zegar saying thanks at the PMQG July meeting. St. Andrew Church Community Center lighting was upgraded due to a generous donation from an anonymous PMQG member. PMQG Show and Tell January Meeting, a set by Blue Bird Sews on Flickr. Check out all the great quilts that folks shared at our meeting last week! Beautiful work, everyone! Thanks everyone for coming out to our September meeting! Amber, our Guild Secretary, ran the first half of our meeting. We switched show and tell this time and it sounds like it was a hit! She also introduced our guest and past president, Christina Cameli. Mary Ann was traveling and attending the VMQG sew day and meeting. She and past VMQG VP/current Programs director Amy Dame switched places! Amy was in Portland representing the VMQG special exhibit at the NW Quilting Expo. And here is everyone waving to Kim, our Programs director. She had the lucky opportunity to go to Sewing Summit this year. 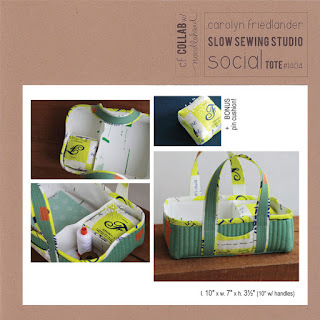 Christina, who blogs at afewscraps, gave a terrific presentation from her new book, First Steps to Free-Motion Quilting. She showed slides of ideas for FMQ designs and drew them out for us so we could see where to start and how to keep going! Many of us celebrated her book release over at Modern Domestic, where she will be teaching a Nesting Buckets class and sharing her techniques in October. We were excited to hand out our soft Shannon Cuddle fabric for our OBT doll quilt challenge. It disappeared rather quickly! If you wanted some and did not get any please email us or leave a comment and we will do our best to get some for you. Remember you get a $10 voucher to see the Nutcracker for every doll quilt you donate! There are some great tips for working with cuddle over on the Shannon website. They invited us to do two blog posts for them. Here is the link to the first post: the second one will feature a pattern from one of the quilts we make. It could be yours! Let us know if you are interested in this fun opportunity! I am excited to announce that the MQG Riley Blake Basics Challenge fabric is in the house! We will have it at Sew Day on October 5th and will continue to announce where we will have it for pick up. Next month Katie Pederson will be our guest speaker and we are so excited! 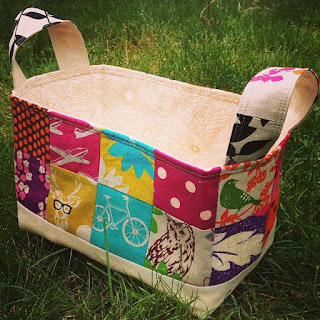 Check out her popular blog, Sew Katie Did and don't miss the chance to sign up for her workshop Modern Crazy Piecing! 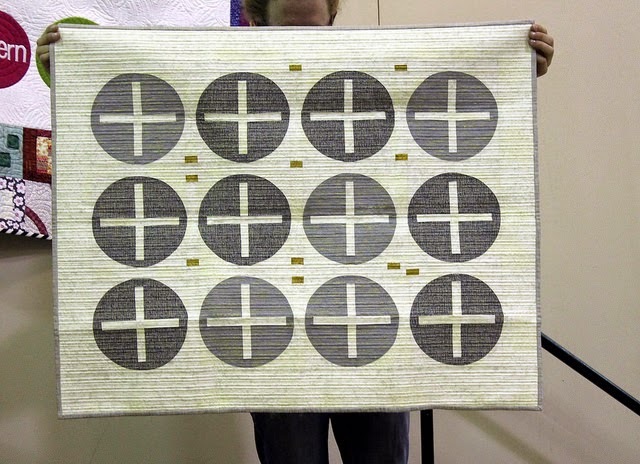 based on her book the book, Quilting Modern over at Modern Domestic. We were lucky enough to host her co-author Jacquie Gering several months ago. Do you feel spoiled yet? 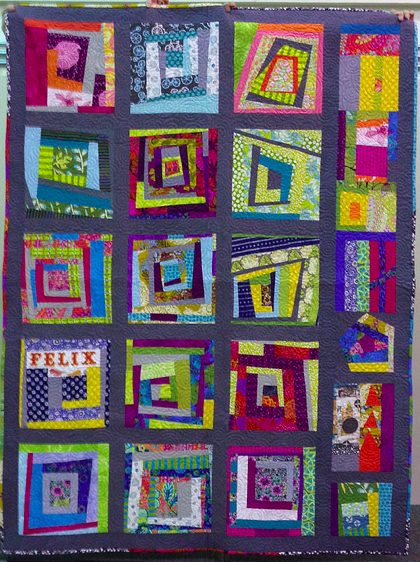 Our BOM this month, "Hexing Around" is brought to us by Lee of Freshly Pieced. This should make for some really awesome quilts! All of our BOMs are linked on the BOM page on this blog. And lastly, join member Susan Beal at Powells City of Books on Sunday, October 13th to celebrate the release of her new book Sewing for all Seasons. She will be signing copies and would love to see you there. PS - Have you started your Bridges of PDX Now! quilt yet? The deadline is a ways away, but it is never too early to start! Oh, and stay tuned for more information about our next Quilt Documentation day, November 2nd at the Museum of Contemporary Craft. We just couldn't contain ourselves! 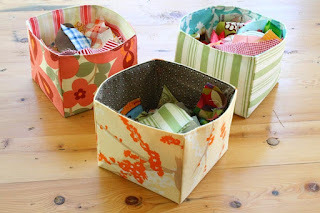 Here is a round-up of the inspiration and tutorials for our container swap. Here are a whole bunch of awesome tutorials Kim Lumapas, our PMQG Programs Director rounded up to inspire you! If you missed the meeting we encourage you to find a partner and sew along. Hop over to our Member blog page and see if there is anyone who wants to play too! 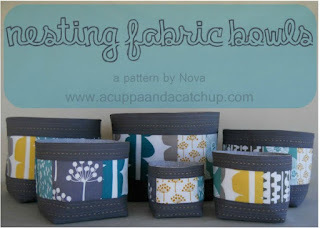 I stumbled across this nesting bowl pattern at a cuppa and a catchup yesterday. 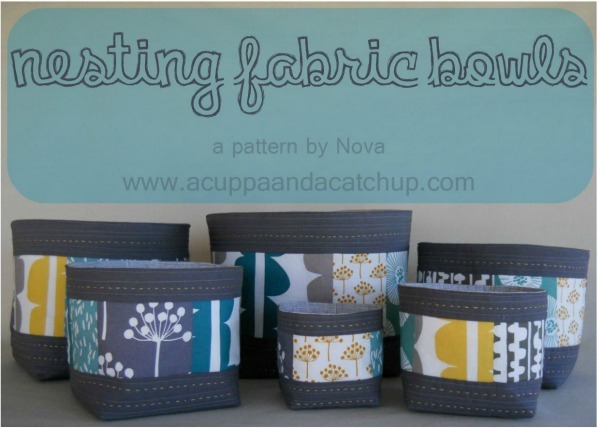 Not only is it a lovely design, but Nova is donating 100% of the proceeds of the sales of her patterns from now until June 30th to the fund that was created for Kathreen Ricketson's children. You can read more about her in this blog post. Thank you Nova for organizing this!